The Magritek Spinsolve benchtop NMR spectrometer is ideal for online reaction monitoring. The clear bore from top to bottom, together with high sensitivity and remarkable stability give both performance and ease of use. 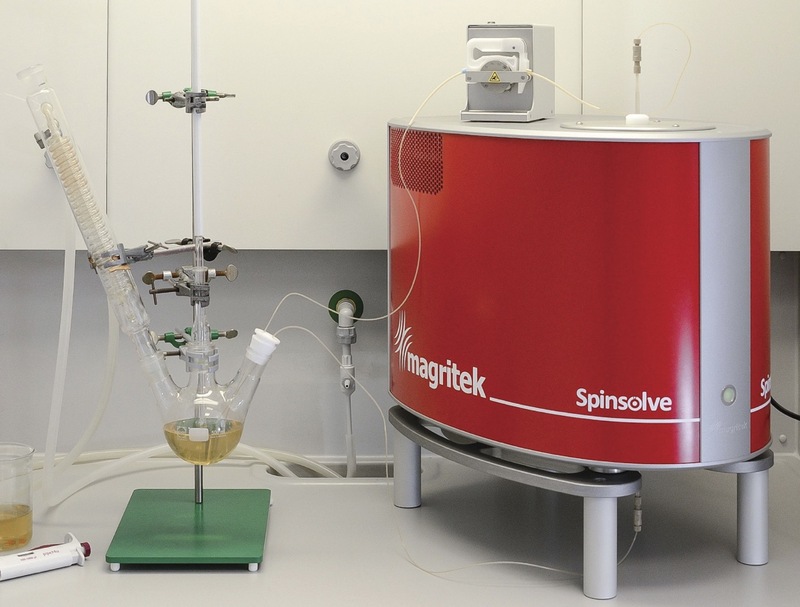 Magritek now offer two complete reaction monitoring solution kits – a glass flow cell for optimized performance, or simple guided PTFE tubing for simplicity and low cost. 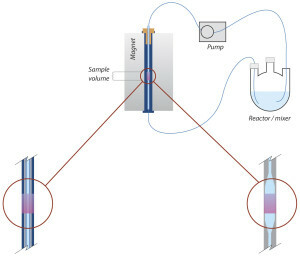 The software included with every Spinsolve spectrometer includes simple scripting with looping which makes it incredibly easy to run a reaction monitoring experiment and plot the results. 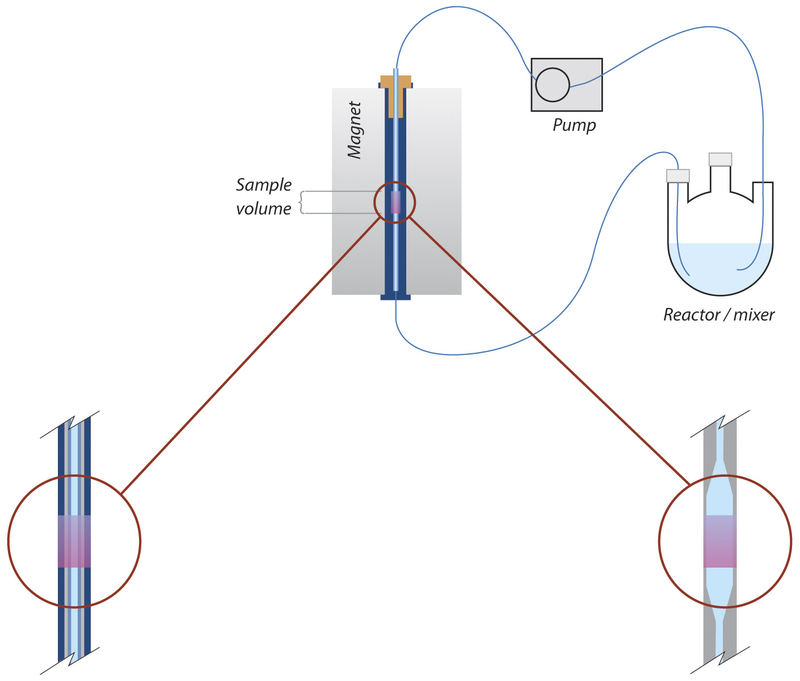 Below is a complete setup with the glass flow cell.